Happy November everyone! Overall, November looks like it will be a fairly mellow month. As we start moving into the colder and darker days of winter, many of us start to feel a bit down, tired or overwhelmed. Darker days can often create a feeling of melancholy. That is why its so important to do things that bring warmth to your environment and your spirit. Pampering yourself in little ways, focusing on crafts or projects in the house you may not have had time for, or taking stock of what you have done and what you wish to do in the coming year; all of these are ways to perk things up a bit. The specials for this month reflect the energy we will be dealing with. 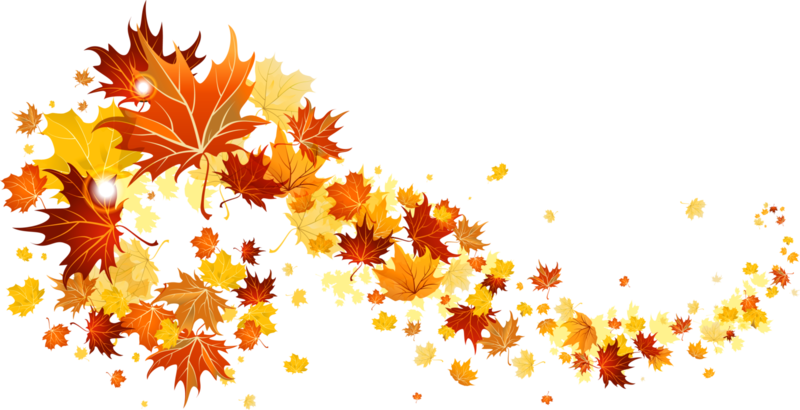 I have the seasonal Thanksgiving/Gratitude reading, and a few readings that will help you to explore your current journey in life. All of these can be found in the Monthly Specials section this month, along with a few other inspirational readings to help bring balance into your life, such as the Spiritual Journey and the Fool’s Journey readings for those who are looking to start off in a new direction. So be sure to stop by and have a look at the September specials! 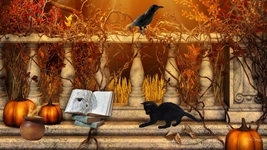 You can have a browse through the many specialized readings I offer on the Tarot Readings page. Tarot’s Life Path & Personal Growth section is a good place to start! Or take a wander through the various Oracle readings on my site, like Rune, Angel, Faery and Animal Totem readings. All of these categories can be found on the main Reading Room page. Don’t forget to check out the other areas on the Readings page, like the Oracles, Rune and Animal Medicine Cards sections. Happy Sunday all! Hard to believe another month has gone flying by. Don’t forget to set those clocks back an hour when you get up (if you haven’t already). Today we are still under the vibes of the quieter Scorpio Moon, but we also have an introspective Void of Course too. So you may enjoy some time alone or with someone you can share those deeper thoughts and emotions with. Samhain/Halloween is just 2 days away and I hope you all enjoy whatever it is you will be doing. Now let’s see what the rest of this week and the start of the new month has in store for us. Monday brings us a challenging square between Mercury and the North Lunar Node. This is a transit where we can feel compelled to do a 360 about where we have been headed on our life’s path. It’s a time when information or facts turn up that are in total contradiction to what we believed was true or real about our sense of life purpose. In some instances, we may feel as if someone else is just getting in our way. There is a temptation to deny, dismiss rationalize or totally avoid our way around these things, but, as in most cases, we would probably be missing out on some valuable info that we really need to take into consideration. This in no way means that you have to up and abandon your current life’s path! It’s more a matter of us being challenged to see that path more clearly. If you find yourself in this kind of scenario, don’t go overboard trying to stand your ground. Instead, focus on what needs to be said and how best to say it. The Moon will be in its introspective Void of Course phase in the evening. Tuesday is Halloween/Samhain. For my Pagan friends, it marks the New Year and is a time to honour our ancestors and those who have passed. It said it is the time when the veils between this world and the other side are at their thinnest. The Moon will be in its quiet Void of Course phase for the entire day and night, which is great for spiritual activities. We also have a sextile between Venus and the North Lunar Node, which tends to bring a bit of harmony to our domestic life. Its a good energy for activities with those we hold dear. Wednesday starts off a new month and November begins with some lucky energy as Venus and Jupiter get ready to line up on the 13th. Mars will be passing through Libra all month a well, which will help us to put energy into social and romantic connections. Our morning begins with the Moon shifting from dreamy and diffused Pisces to fired up Aries in the early hours. Some may actually feel this shift more than others. An Aries Moon tends to bring conflict more than most times, with emotional tensions growing, people becoming short-tempered and impulsive. Some may show a readiness and fearlessness to act in an extreme situation. Even the sweetest tempered person can become a bit mean under this moon. However, it becomes easier to shake old problem and the weight of tiresome responsibility. We want to free ourselves from everything that bothers us and makes our lives feel uneasy. Thursday brings a challenging square between Saturn and Chiron and when these two planets come together in a challenged position we tend to find our patience and confidence feeling a bit strained as we feel a need to break free of chronic constraints. Motivation and self-esteem can drop at this time too. Use this time to take a fresh approach to situations that have you feeling stuck. Adding to this is a trine between Mercury and Chiron, which tends to open up the door of positive and healing communication with those around us. So this will help to balance out the Saturn/Chiron square a bit. Friday brings a sextile between Venus and Saturn bringing a time of romantic yearnings, fantasies and longings. It makes the perfect time to ask yourself if there is a dream of yours, perhaps one you had to shelve for a while, that you can now take down, blow off the dust, and make it come true. This transit gives us that ability to really grasp the true and solid facts needed to choose investments wisely and to interact with others where relationships of all kinds are concerned. Another aspect of ourselves that this transit effects is our self-worth, which can really benefit now because we are less likely to let ourselves give in to mood swings. However, for those of us who suffer from depression, we may want to take a bit of extra care that we don’t let ourselves become so stable and grounded that we totally lose touch with our sense of hope and potential. Adding to this is a trine between the Sun and Neptune, which tends to stimulate the imagination, a great energy for those who work in a creative field because they will find expressing themselves flows easily through their specific artistic outlet. Those that have been feeling the heaviness of depression will find their spirits uplifted, reliving them from the heavier weight of sadness and discouragement that has been felt up till now. We do need to take care under this transit because the tendency to get lost in daydreaming and fantasizing could draw our focus away from our responsibilities and what needs to be taken care of. It is a brief transit so enjoy this while it lasts and remember that before we make any changes that are based on what we feel is a permanent situation or condition, this is mainly a temporary influence with us now. Be careful not to make optimistic promises which we may not be able to fulfill once this time of optimism wears off. Saturday is our Taurus Full Moon. The Full Moon is the best time for doing work on letting go of the old and releasing the negative. The placid Taurus Moon contrasts with the opposing Sun in Scorpio’s impulse to examine every act and question every motive. So watch out for stubborn stand-offs between those who prefer things the way they are and those who need to turn the world upside down because they will quite often force us to examine our values. Right now financial issues are likely to be emphasized as we seek ways to appreciate what we have (Taurus) while honouring our hunger for change (Scorpio). We are motivated by the desire for serenity, security, peace, and comfort. We also have an opposition between Venus and Uranus today, which means our interactions with others may be full of surprises. Very sudden changes in agreements can happen or we may see erratic actions from those involved in a project. This can make us feel unwilling to just follow along with the crowd, however, choosing to stand out and get noticed for the distinctive individuals that we are. Sunday sees communication planet Mercury move home as it enters Sagittarius. The next month will be about refocusing, readjusting, freedom and independence. When Mercury is in Sagittarius, our thinking shifts from a need to plumb the depths of any given situation to the desire to learn about a wide range of topics. To some, this energy can feel a bit overwhelming and make it hard to grasp the vast terrain of knowledge that we are now perceiving. The best way to deal with this energy is to step back a bit in order to get a bigger view. This is a good thing to do for those issues in our life that we feel a bit stuck or blocked by. Happy Sunday everyone! 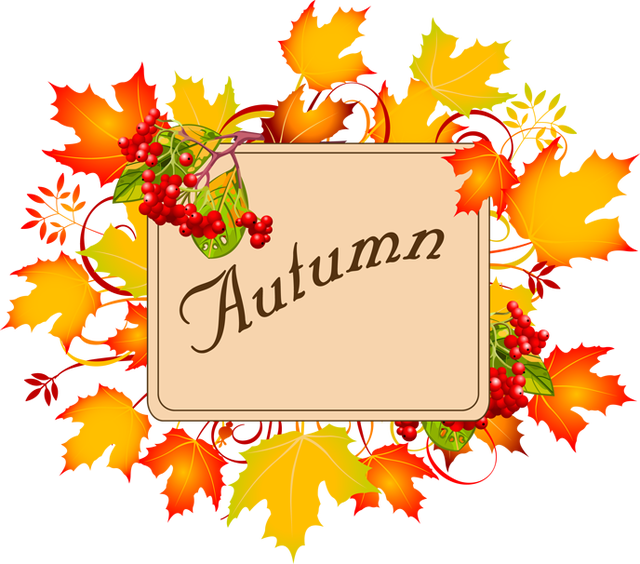 This week moves us into the second half of October and ever closer to Samhain/Halloween, as well as the Yuletide season and Winter Solstice. Today will see assertive Mars joining Venus in the sign of Libra. Libra isn’t Mars’ favourite sign to be in, but this combo can be useful in that it allows us to be a spiritual or peaceful warrior. We can best use this transits energy to seek new relationships or bring harmony and flow to our existing ones of all types. Now, let’s see what the rest of this week has in store for us. Monday sees the Sun moving into Scorpio. Happy Solar return to all of you Scorpios out there! The Sun in Scorpio begins the season of Halloween when the veils between the worlds are thinnest. This is a time when we assess what we have harvested and how we can apply it during the cold winter months. Reviewing individual assets to determine if they’re being applied efficiently is a good move at this time for all signs. Tuesday brings us a harmonious trine between Mercury and Neptune, where our intuition and imagination runs higher. Pay attention to your dreams at this time because they may be prophetic. A highly creative time, this transit can make us feel as if our thoughts and ideas are flowing like magic through our heads. One thing to watch out for though is that it can be all too easy to allow ourselves to get caught up in fantasizing and yearning about our deepest, hidden wishes. The Moon will go Void of Course in the latter half of the afternoon. Wednesday see the Moon moving into Capricorn in the wee hours of the morning, where our emotional charge seems to decrease as our feelings of duty and responsibility move to the fore. We tend to become more practical and logical, as well as more demanding and less sensitive to others and ourselves. This lunar mood puts the focus on real-world ambitions. We might spend our time mapping out a business plan. It’s timely for considering what’s a good investment of your time, energy and resources. What will bring a solid return? Everything is viewed through a practical eye, including relationships. We can see how to make structural changes that make life more efficient. Thursday sees an alignment between the Sun and Jupiter, and this is considered to be a lucky combo…like buy a lottery ticket lucky. Some may feel lucky today and be drawn to taking risks because our ability to identify opportunities is much stronger right now. But it may be best not to take those risk with gambling our resources right now. This is a really great day for focusing on new directions that will expand our horizons, especially where self-improvement goals are concerned. Life reveals its richness and we can use this time for growth. Anything that will promote a better understanding of ourselves and our beliefs will benefit. Friday morning starts us off with a Void of Course Moon that will then enter Aquarius in the early afternoon, a supportive Moon for those Halloween parties over the weekend. We do have a challenging square between Venus and Pluto to contend with though, where we may find that our relationships and interactions tend to be a bit deeper, more intense and transformative. Other things that are affected are our sense of beauty, and any dealings around finances and material resources. Mainly, this transit can shed light on those problem areas in our lives that need to go through a bit of a transformative process in order to heal. Lastly, we have a sextile between Mercury and Pluto, where our communication is fuelled by our passion and we can be very persuasive in dealing with others by first finding some common ground between you and them. We are also able to shed any old and outworn perceptions we have been holding onto, as well as ways we have been communicating. We can take the information coming our way and transform these into something that can be either healing or wounding depending on how we wield them. Saturday is a quiet one in the skies for the most part. We still have the Aquarius Moon in play, which makes it great for socializing, especially where Halloween and fancy dress parties are concerned, because it allows our inner eccentric weirdo to come out and play. Early Sunday evening sees the Moon going Void of Course and then Moving into Pisces just before midnight. A Pisces Moon can bring about feelings of romance, heightened intuition, mystical and dreamy moods, and an interest in the unknown, religion and all that is magical. We tend to become softer, sentimental and more tender, speaking words of kindness and complimenting those we love. We also tend to have this deeper understanding of the hidden meaning of life, events and things, as well as a more intimate perception of beauty, art, poetry, and music. On a negative side, it can be harder to deal with the harsher aspects of reality during these lunar days. We may escape with one more drink, or “check out” in front of the television. It’s easy to coast through the day when you’re dreamy or “lost.” It helps to have some creative focus, in order not to flounder in the sign of the Fishes. Happy Sunday everyone! I hope today finds you well as we move into the second half of October. Have any of you found yourself waking up early this morning, or maybe having some unusual dreams? That could be down to an opposition that happened overnight between mental Mercury and the eccentric planet Uranus. Some of you may have had a bit of a restless night because of it. Being a Gemini myself, the sign that rules Mercury, I sure had a restless night! This energy will be wearing off a bit though as we move through the rest of the day. Enjoy the unusual vibes while you can today! Now, let’s see what this week has in store for us. Monday starts us off under the influence of a Virgo Moon, so the next day or so are good for tending to those small details and getting organized. We have a sextile between the Sun and Saturn happening as well, which helps us to take care of any loose ends and attend to small details. especially the ones we really don’t like. A good day for practical tasks and taking care of the ones you have put off for a bit. Focusing on practical matters and getting organized are good things to focus on now, especially if you are laying the foundation for something positive to grow. Tuesday sees communications planet Mercury moving into a new sign, that of Scorpio. It’s an aspect that supports research and deep thinking. For some, it can manifest as dark and sarcastic humour. This can be a very powerful period for talking about difficult issues regarding relationships, money, and mortality. Balancing this out a bit for today is the Moon moving into Libra at Noon. The Moon in Libra creates this feeling of harmony and calm. We find we more easily connect to people, compromise is more likely and conflict less so. It’s a time when we find it easier to understand and relate to others. We tend to be polite and diplomatic, and would rather avoid arguments. Wednesday brings us a conjunction between Mercury and Jupiter. which allows us to visualize in broader terms and see the “big picture”. This could be a time when you have a strong desire to verbalize your own goals and ideals. Travel is favoured as well under this transit. With both of these planets in Scorpio, we can express our deepest desires more easily. Thursday is our Libra New Moon, bringing us a combo of diplomacy (Libra) and toughness (Scorpio). Its a good New Moon for communicating difficult topics in all kinds of relationships because we can be kind and serious at the same time. Its a good energy for communicating our higher goals and aspirations too, as well as our vulnerabilities and fears about taking risks with some of these goals. We also have an opposition between the Sun and Uranus, which can be like a wakeup call for us. We may experience this awakening moment as an outside scenario, or another person who comes along and shakes us out of our usual routines. We may feel pushed to try and test some new approaches to ongoing situations. Life will definitely be a bit unpredictable at this time which means we need to be on our toes and flexible! Friday sees the Moon shift into brooding Scorpio in the early hours, where it will be for our weekend, creating a tone of privacy. Scorpio is where emotional charge and sensitivity increases. It’s a time where we need to be careful not to get swept away by irritability, mood-swings, hysteria, big and small excitements, and a sudden desire to quickly change everything. People tend to become more conscious of self and others and see everything in dark tones with the Moon in Scorpio. Saturday, with the Moon being in Scorpio, is a good time for deep level sharing with our most inner circle. It’s not ideal for socializing with people we don’t know though. The Scorpio Moon also helps us thoroughly attack any clear goals we may have for Saturday. Sunday brings a bit of a change around Noon when the Moon moves into optimistic Sagittarius, after a brief Void of Course Moon. A Sagittarius Moon brings us some peace and stability. We tend to become a bit more orderly and calm, are ready to follow routines and rules and have a need for giving and receiving advice and recommendations. We may find an increase in our interests in social life and where we fit in today. We also have Mars entering Libra today, which means that anger, aggression, and approaching things in an overly direct manner become a bit softer around the edges. We instead choose a gentler, more diplomatic approach. In truth, Libra is not all that comfy for poor Warrior Mars because his sharp and forceful nature become blunted. This transit can make us feel indecisive at times because we can see both sides of an argument. What we need to do in these cases is rely more on our wits rather than our impulses in order to create a situation where all people win. Happy Sunday all and I hope this weekend finds you well. Today will feel a bit slow going energy wise for us due to a square between Venus and Saturn. so, its better to not schedule anything that needs us to move fast for most of the day. Things will pick up a bit later in the afternoon though, when we have the Sun aligning with Mercury, creating a lot of talk and running around doing those quick errands. Make the most of it and get those small projects and tasks out of the way before we head into the week. now, let’s see what the week has in store for us! Monday may feel like a bit of a challenge due to the Sun and Mercury making a square with Pluto. The best way forward is to not push your way forward and trying to avoid people who think they know better. Try to let go of what you are done with as a way to handle this energy. We have the Moon moving into Gemini from the early morning, where we become active, feel stronger emotional sensitivity and a need for socializing. We also have the tendency to fall under influences that can lead to the danger of getting of course and making mistakes. We tend to buy things that we don’t really need, waste time with contacts that are futile, and visit unnecessary places and events. Emotions may become amplified but shallow. We may easily meet new people now, however half of the contacts we make will later turn out to be empty. Some of us will try to do everything all at once, which later leaves us stuck with unfinished projects and ideas. We also have a trine between Saturn and the North Lunar Node, and this is something that we may have been feeling for up to a week before, and could feel a week after today. It can help us do what must be done a bit easier, even those things that feel a bit daunting right now. Tuesday sees Jupiter moving house into Scorpio, where it will be for the next year. Jupiter’s effects are to expand our knowledge, experiences and understanding. It represents optimism, growth, generosity, and abundance. Jupiter’s transit through intense and passionate Scorpio urges us to go after our hearts’ desires. As Jupiter moves through Scorpio, we learn and understand that in order to heal, we have to cut out the fluff and focus on what really matters to us. It helps us to heal old wounds and release self-defeating behaviours. Venus will be opposing Chiron today as well, and during this challenging opposition between the wounded healer and the planet of love, we may find that we are a bit more sensitive to the struggles and suffering of those around us. It’s also a time when our own ongoing problems relating to love and money come to a head, or undergo a healing crisis. Basically this means issues may increase before they finally have a breakthrough. The Moon will go Void of Course just before midnight. Wednesday morning sees the restlessness of the Gemini Moon giving way to an instinctive need for peace and quiet as the Moon moves into Cancer. Under Cancer’s influence people become more sensitive and go deeper into their inner world, which takes on more importance at this time than the outer world. A feeling of belonging and safety is what motivates us under this influence. The Moon feels right at home in the sign of Cancer, as it rules the sign. This Moon position has much healing potential. Although insular by nature, our feelings run deep, making it an ideal time to get in touch with what motivates us. We want roots; we crave a sense of intimate connection that will. We have a challenging square between Mars and Saturn today as well, which can mean mechanical issues cropping up on the roads or annoying things breaking in the home. So allow for some extra time for yourselves whatever you may doing. This is a transit that creates a sense of friction that can cause us to feel frustrated, conflicted, stressed out, and argumentative. It’s hard to feel upbeat and positive when our efforts seem to be thwarted or blocked at every turn. We become a bit more sensitive towards anyone or anything that seems to be not cooperating with us, especially authority figures. It’s all about finding a balance between our youthful and free spirit, and the responsible, cautious adult side of us that wants us to be more serious. Thursday brings us a sextile between Mercury and the North Lunar Node, where we may find it easier to take that practical, logical approach towards decisions and solving problems. mental duties can be more precise, more accurate, and we become a bit more cautious when new information comes through. This is a good time for making plans and working out the small details of how you will get from point A to point B where our ambitions are concerned. Some may find that finished goals can be brought to a close. This is a transit that brings us a feeling of mental stability which can help us to see things in a more realistic and grounded way. We may find that our communication has a more serious tome to it than usual. We do need to be careful that we don’t get too caught up in too many details or start worrying about trivial things. Make sure to take breaks if you feel a bit overwhelmed and try to make a bit more time for everything. Friday brings us a Void of Course Moon in the early hours, before slipping into heart opening Leo as we start our day. Leo supports pleasant conversations and we tend to feel more energetic and optimistic. This energy will be with us as we begin our weekend as well, so a good time for socializing for the next couple of days. Saturday begins with an early morning Void of Course Moon that will then shift into practical Virgo by Noon. When the Moon is in Virgo we instinctively gravitate towards practical activities. In an urge to set things right, we might easily find ourselves re-organizing and rethinking plans. Emotional satisfaction comes from solving problems, making order out of confusion, and helping others. This makes it a good time for doing routine work that requires precision, concentration on detail and hard work. Today also sees the planet of love, Venus moving house as she shifts into Libra, one of her favourite signs to be in. She will be there until November 7th, so this is a great cycle for improving or creating relationships of all kinds. We can tap into this energy’s diplomacy to deal with difficult conversations, finding it easier to be charming rather than aggressive. It’s a time that bodes well for peace, harmony and a more objective view of our relationships. The shadow side of this position is dependency, inconsistency, and superficiality. In an attempt to avoid unpleasant situations, we could easily gloss over deeper issues at play in our relationships. It’s probably best to avoid the trap of acquiescing to our partners but privately resenting the fact or thinking ourselves martyrs for doing so! This is also a time when we are more artistically inclined. We tend to seek balance in our personal environment. Sunday will be a bit more challenging and we will need to be flexible due to an opposition between Mercury and Uranus. This combination can be filled with unexpected occurrences that upset or change our plans. If we fight against this right now, it will just make things all the more difficult to cope and move things forward. If you are someone who is a natural at thinking on your feet, you should get through this just fine. Some may feel mentally restless today as well, but take care that you don’t go overboard looking for some excitement. adding to this is an opposition between Mars and Chiron, a transit that may expose us to confrontation, aggression and feelings of anger that are more intense than we are comfortable with. Some may prefer to avoid dealing with this dilemma in a direct or therapeutic manner. Happy Sunday everyone, and Happy October! This has always been one of my favourite months, when the leaves are changing to brilliant colours and you can smell the smoke from people firing up their wood burning stoves. Its also the time I like to start making stews and baking. I know its not for everyone but try to pause every so often and take a look around you to see the beauty that this season can bring. OK, so we are under the influence of a trine between Mars and Pluto today, which makes it a good day for looking at those plans you have been mulling over and start putting them into action where you can. Even if its a small step forward, it will get the gears rolling for you. Now, let’s see what the rest of this week has in store for us! Monday sees the Moon changing from Aquarius to Pisces, but we have a brief Void of course period this afternoon that could have you feeling a bit detached, can impair your judgement or have you feeling it hard to make a decision. My advice is to hold of on any decisions until the Moon gets into its new sign and brings balance a sense of balance. So, the Moon will move into Pisces in the late afternoon. A Pisces Moon can bring about feelings of romance, heightened intuition, mystical and dreamy moods, and an interest in the unknown, religion and all that is magical. We tend to become softer, sentimental and more tender, speaking words of kindness and complimenting those we love. We also tend to have this deeper understanding of the hidden meaning of life, events and things, as well as more intimate perception of beauty, art, poetry and music. We are less inclined to want to face reality while the Moon is in dreamy, impressionable Pisces. It can be a wistful, sensitive, intuitive, and compassionate time. We are especially imaginative, and our intuition reigns under this influence. Things to do under a Pisces Moon: long soaks; being near the ocean or other water body; watching or doing theatre; taking in a film festival; meditation or spirit-based retreat; being solitary; any imaginative project; tending to those in crisis or lost. Tuesday brings us a trine between Venus and Pluto. Deeper aspects of love become apparent without the usual stresses and strains under this transit. If you have been wanting to deepen or renew a previous commitment in a relationship, now is a good time to do so. This can be an excellent time for finances and for relationships. Our feelings are intense and impassioned, but not in an offensive or destructive way. We may experience karmic attractions now, or, at the very least, strong feelings and attachments. This is a sensual transit–a time when a little charm goes a long way. Something touches us now, and we could discover something intimate and relevant about a partner or about our own love nature. Wednesday begins under a Void of Course Moon and will remain this way until later in the evening, when the Moon shifts from dreamy and diffused Pisces to fired up Aries. Some may actually feel this shift more than others. An Aries Moon tends to bring conflict more than most times, with emotional tensions growing, people becoming short-tempered and impulsive. Some may show a readiness and fearlessness to act in an extreme situation. Even the sweetest tempered person can become a bit mean under this moon. However, it becomes easier to shake old problem and the weight of tiresome responsibility. We want to free ourselves from everything that bothers us and makes our lives feel uneasy. Things to do under an Aries Moon: When the Moon is in Aries, it’s a good time to dream big, and soul search for your passions. The Moon in Aries generally favours the following activities: Quick actions that yield immediate results. Undertakings that involve the self and the personality. (Staying power may be lacking). Self-assertion, taking on challenges, beginning short-term projects. Thursday is our Aries Full Moon. The Full Moon is the best time for doing work on letting go of the old and releasing the negative. When the Moon is in Aries we’re motivated by a strong desire to start fresh. A gut instinct to start something new is with us now, as well as the gumption to do so. Our pioneering impulses are strong, and we feel energetic, spontaneous, and enthusiastic. We may also be tactless and impulsive now. Excess energy is best channelled into physical activity. We now enter a phase of emotional directness and impulsiveness, one marked by forceful and powerful feelings. Emotional beginnings, a fresh start, perhaps the establishment of new habit patterns – make sure they’re good ones, because they’ll set the tone for you for quite some time to come! We also have a conjunction happening between Venus and Mars, which are both in Virgo right now. This alignment can help us with both our external relationships and our inner relationship with the Self. Diplomacy comes easily and its a good time for partnerships of all kinds, so make the best of this energy. Friday is a quiet one in the skies but we still have the energies of the Venus/Mars conjunction to work with. Just before midnight the Moon will be going Void of course as we head into our weekend. Saturday begins with the Moon moving into earthy Taurus in the early hours of the morning. When the Moon moves into Taurus, we feel the tension of the past few days start to drop away. People tend to become calmer and peaceful. We feel secure and stable. There is also this tendency for our thoughts and reactions to slow down, making us feel a bit slow in getting ourselves going. This is the best time for taking care of the home, running errands, restocking supplies and tending to routine maintenance. Its best to hold off on important business now,as well as signing of contracts or important papers, because we may make mistakes due to a slowed down reaction and thinking process. Things to do under a Taurus Moon: Massages given and received; baking and cooking; singing or dancing; gardening; building structures; considering steps of a plan, experimenting with home aromatherapy, stretching (especially the neck), try new fruits, concoctions, cocktails and dishes; make pottery or sculpture; sound therapy. Sunday is a bit of a busier day in the skies. We still have that comfort seeking Taurus energy in play. We also have a challenging square between Venus and Saturn. We may find that we have difficulties relating to others under this influence. People may appear cool with their affections and emotionally distant. You could be feeling unappreciated, unloved, or unwanted. Or you may feel some anxiety in regard to matters concerned with the feelings. The best advice is to try not to read too much into situations, particularly social and romantic circumstances. This transit is best used for reflection. We have a conjunction between the Sun and Mercury as well, which means we tend to have a lot to say and want to communicate more. This can help a bit with the Venus/Saturn effects, and it can also hinder if we allow our fears and anxieties about our relationships to come out verbally, in a negative way. In some cases we could overthink things. The best use for today could be to take a short trip or go somewhere that allows you to keep your mind busy. Lastly, we have a trine between Saturn and the North Lunar Node. When Saturn transits in aspect to the North Node, the manner in which we associate with others in terms of give-and-take and learning experiences, comes into question. We may take a look at ridding ourselves of things and people that are negative in our lives. Saturn in Sagittarius adds stability and structure and the North Node in Leo helps us to find happiness in the simpler aspects of life, while living a more responsible and structured existence. This brings us the perfect opportunity to integrate the past into the future now. so look at what you can integrate into your life, and let go of what doesn’t fit any more.